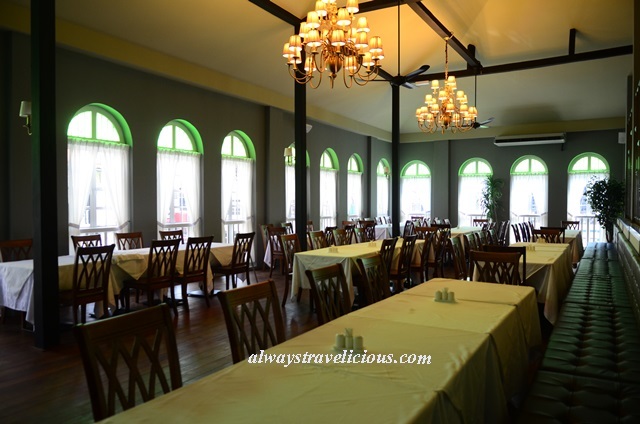 STG Boutique Cafe @ Ipoh - Always Travelicious ! 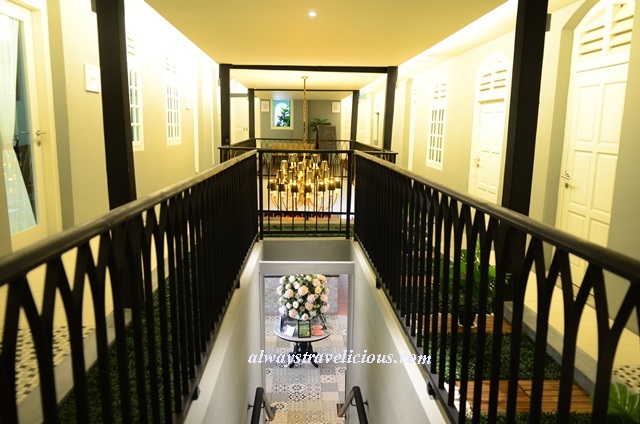 While the concept of “the older the better, the shabbier the better” has inspired many cafes in the old town of Ipoh and created a wave among Ipohans, STG Boutique Cafe has done just the opposite, refurbishing an old colonial building to its majestic former glory while infusing a contemporary charm. The results? Just as stunning. 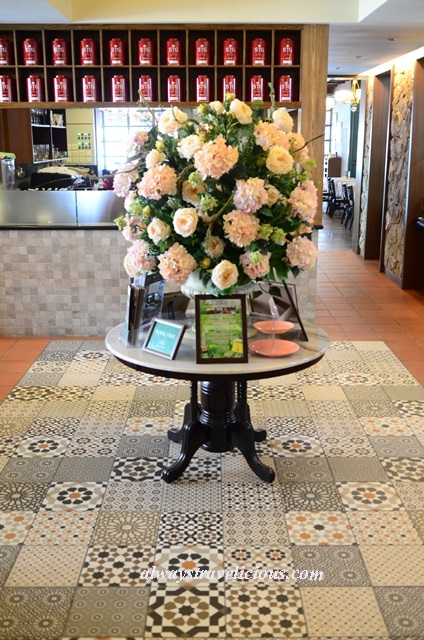 There are two entrances to the building, one of which will welcome you to the lobby with a bouquet of gorgeous flowers against a floor of whimsical tiles. The other will take you directly to the dining area composed of a cool palette in shades of blue and grey. 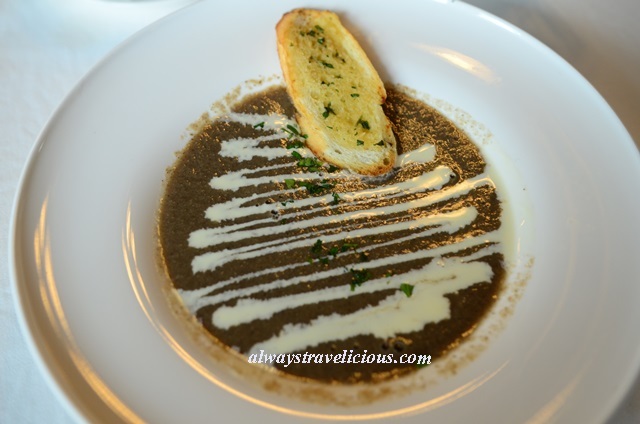 For starters, we had wild mushroom soup where the texture of itsy-bitsy mushroom bits are tantalizing. 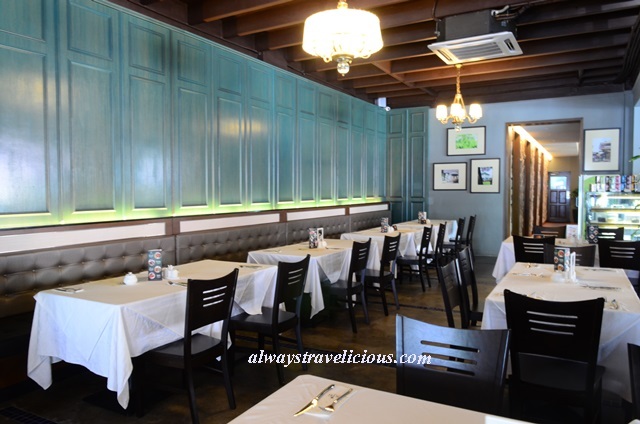 The soup is RM 13 a la carte, but if you are dining at the cafe from Monday – Friday 12 pm – 2 pm, there’s a lunch promotion that if you just add RM 2 on top of your main course, the soup is yours with an ice/hot lemon tea. The “Meat” section on the menu is stated with “from Australia only”, an assurance to the quality of meat you will be receiving. I went with the Paprika Lamb Rack (RM 68) and no regrets. The lamb is grilled to medium well, leaving the center of the lamb with a dash of pink. Dab it with the medium-bodied, savory Rosemary sauce and the succulent meat is at its supremacy. 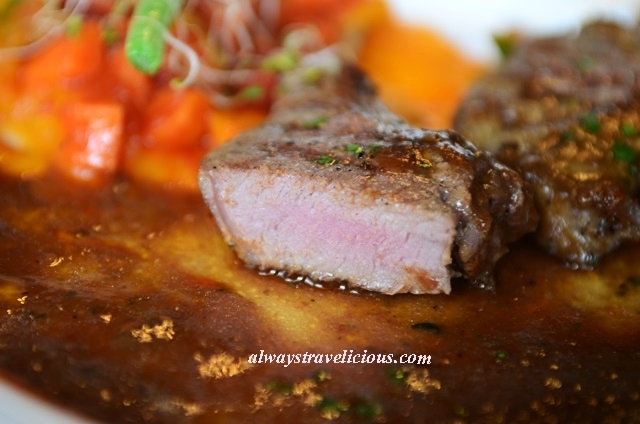 The lamb can be cooked to your specification if you would like it to be more rare. 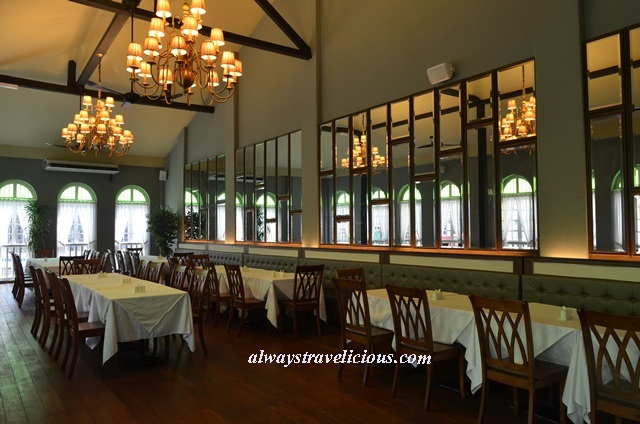 The majority of food on the menu is Western with chef-recommended dishes such as Tea Smoked Chicken Whole Leg, French Duck Confit, Tenderloin Steak and Lamb Sandwich (in the range of RM 20 – RM 68). 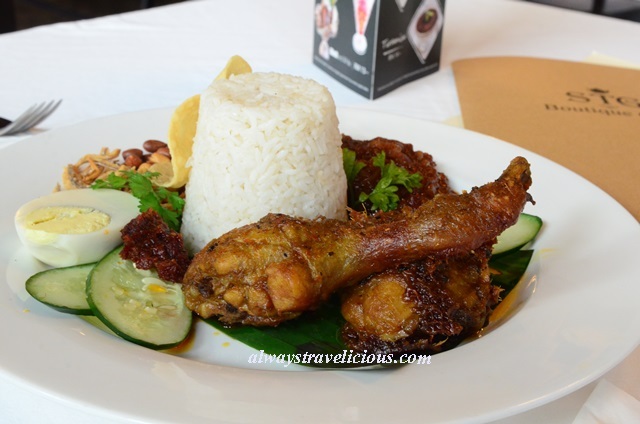 There’s also a selection of local delights, in which we picked the Nasi Lemak Ala Kampung (RM 25). You’ll never go wrong with this Malaysian national dish. STG Boutique Cafe’s version includes curried crispy chicken, crunchy anchovies, onion sambal with a hint of sweetness, and the usuals of of egg and peanuts. 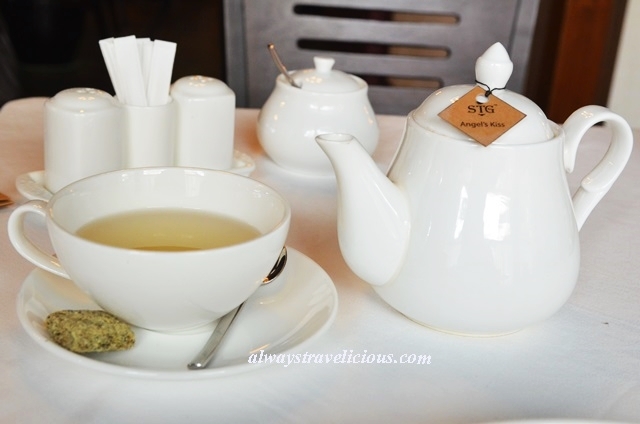 The cafe serves an extensive range of Sabah teas from the highlands of Borneo. The teas are pesticide free and brewed with Spritzer mineral water. Our teh tarik (RM 8) arrived with an unfamiliar color that’s much lighter than the ones that we are used too, but the flavor is big and infused with an uncommon ingredient of pandan. Other ingredients you may choose to add to your teh tarik include cinnamon, lemongrass, wild mint and ginger. The Angel’s Kiss (RM 18) is refreshing with the scent of papayas, pineapple, strawberry and rose and well balanced with Sabah tea where all the elements stood out enough for you to have a taste of everything without being overwhelmed by a particular flavor. You will mostly likely to ask the waiter to “add water” for a second round of tea because the tea is so good, but only to find out that there are no tea leaves or tea bags in the pot, the reason being that the tea is brewed to its optimal condition before serving and any variables is taken out of the equation so you won’t be drinking tea that’s underbrewed, or overbrewed, but perfectly brewed. Cute tea hampers are available too ! 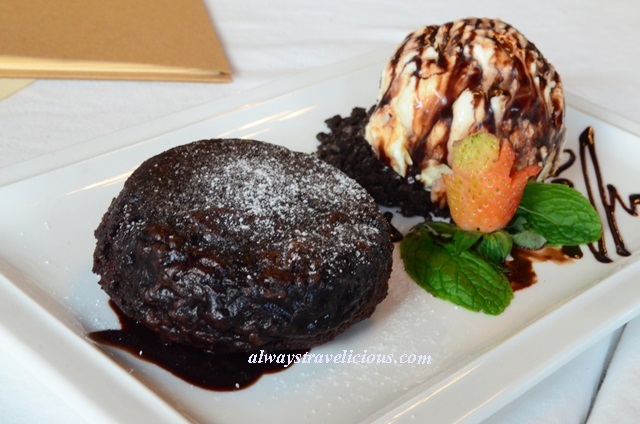 The chocolate Lava Cake (RM 13) takes a prep time of 15 minutes, but every minute of it is worth the wait. 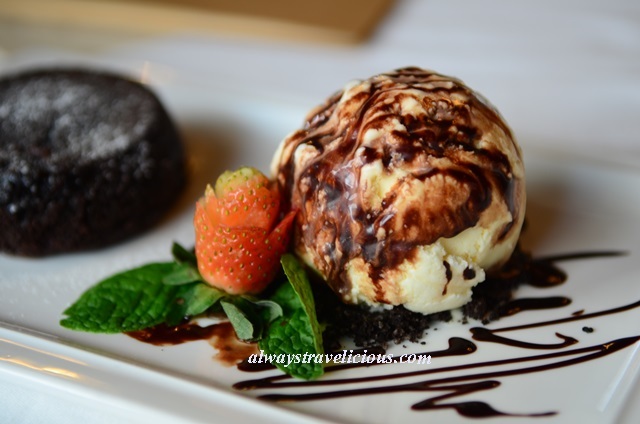 The sight of chocolate lava oozing out of the warm cake is simply irresistible, not to mention that you get to pair with chocolate-drizzled vanilla ice cream. 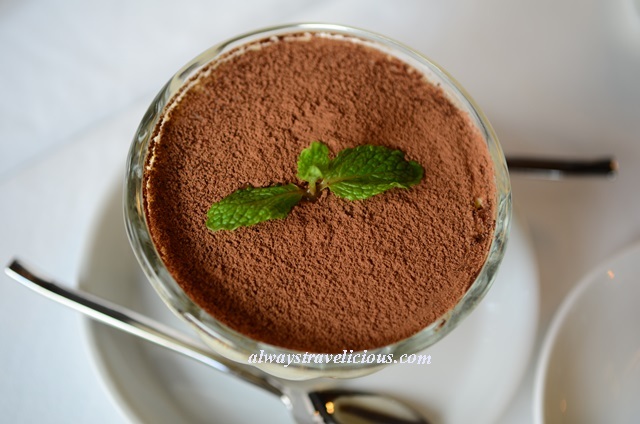 The alcohol-laced tiramisu (RM 14) could possibly be one of the best in town with the ladyfingers at the bottom soaking up the Kahlua, followed by mascarpone and a luscious layer of cocoa powder. There’s a 50 % cake promotion too for Monday – Friday 3 pm to 6 pm with every order of tea or coffee. 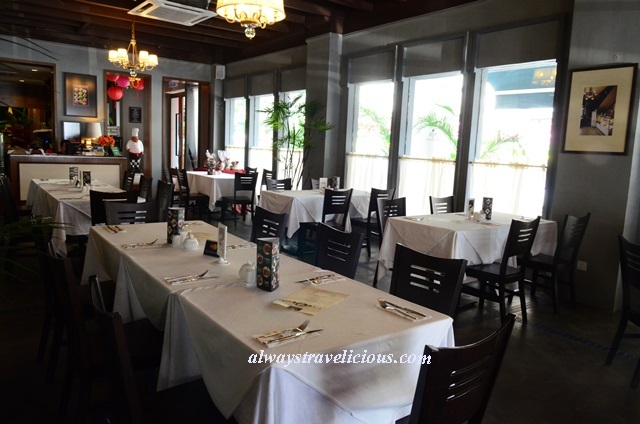 The upstairs section of the cafe caters to private events from 8 to 80 pax. The bouquet at the entrance now viewed from above is still as beautiful ! 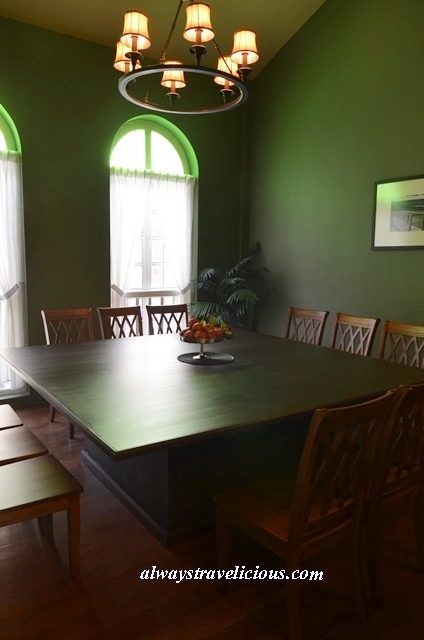 This is one of the three private rooms for 8 – 12 pax. For bigger events, the seemingly infinite green room with a wall of mirrors and the exquisite red room are available. 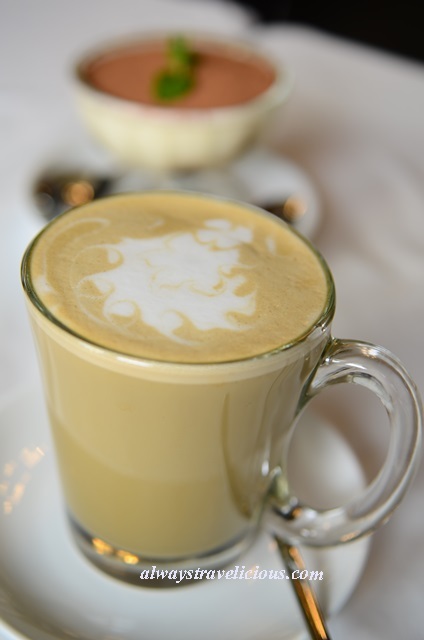 **This post is brought to you by STG Boutique Cafe. I like my lamb medium well, yours look perfect to me! Btw, this is a very beautiful place indeed!